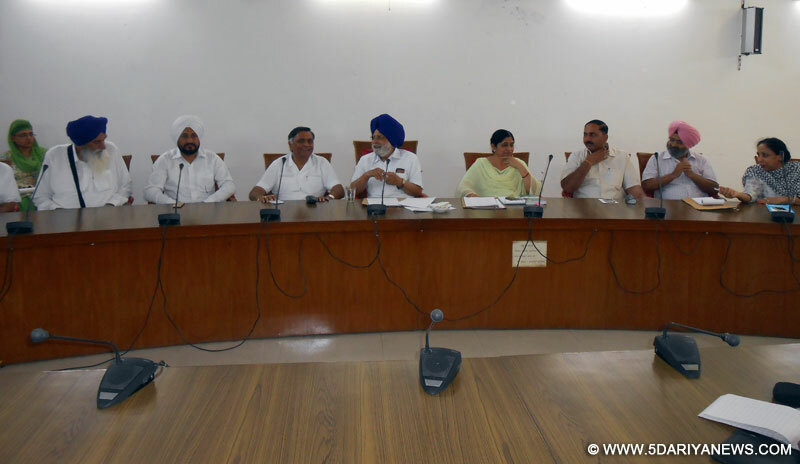 Dr. Charnjit Singh Atwal, Speaker Punjab presided over a meeting to review the progress regarding set up I.T.I. at Maloud Tehsil Payal Ludhiana. Ms Harjot Kaur SDM Payal, Harcharan Singh Naib Tehsildar, Balbir Singh Gill E.O Maloud, Arshdeep Singh S.Engineer , H.S. Matharoo Executive Engineer from Punjab State Industries Export Corporation, Mrs. Daljit Kaur Sidhu Additional Director, R.S. Sandhu Deputy Director from Tecnical Education Dept., Mohan Singh Principal ITI Gujjar and Ajaydeep Singh from the Architecture Department were present. It was informed in the meeting that for the passage of 22ft, the land had already been earmarked and the registry of the subsequent land had been done. Now the revised notification was to be issued shortly. It was also informed in the meeting that there would be two passages, one for entry of 11ft and the other one of 22ft for exit. The representatives of Punjab State Industries Export Corporation also brought into the notice of the Hon'ble Speaker that for widening the passage of ITI and construction work, tenders were in progress. Hon'ble Speaker stressed upon the departments concerned to complete the work on priority.